Increase your profit and service level! Ergonomics and individual sitting position become more and more relevant for customers. 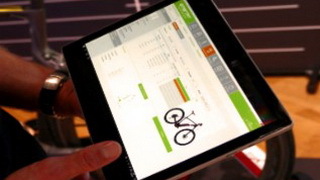 At this point our Smartfit bikeSIZING and FITTING technology will further your sales process. Our Smartfit solutions are worth for every store size and with our Online SIZING as well for e-commerce. This is Smartfit: Smart, quickly, efficiently and with the widest database. Database with more than 100 brands.